“Fefe”, certified platinum by the Recording Industry Association of America, is a song by American rapper 6ix9ine released on July 22, 2018. 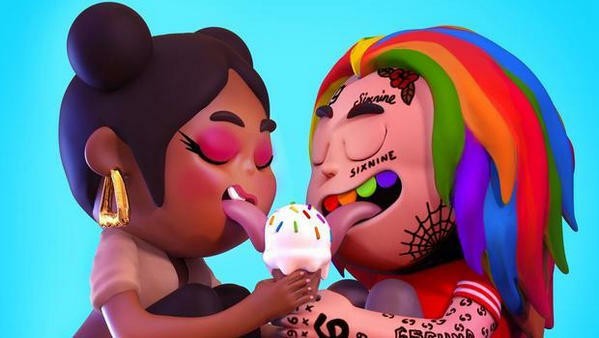 The song entered the US Billboard Hot 100 at number four, with 24,000 copies sold and 45.7 million streams during its first week and ascended to number three the following week, becoming 6ix9ine’s highest-charting single by succeeding the peak of “Gummo” at number 12. Currently you can listen to 6ix9ine’s “Fefe” on most streaming music services, including the undisputed King in the streaming world with the largest number of subscribers – Spotify. As to streaming music service, it’s known to us all that all the songs on those platforms are protected in DRM and can’t be downloaded as local files directly. In this article, we are writing to help those who’d like to download 6ix9ine’s “Fefe” or any other songs from Spotify to MP3 format for enjoying without limits. Below we are going to apply the most popular Spotify music downloader – NoteBurner Spotify Music Converter and show you how to make it step by step. NoteBurner Spotify Music Converter supports both Windows and Mac OS. Here we take the Windows version as an example. For Mac users, please refer to How to Download Music from Spotify to MP3 on Mac for detailed steps. Click”Add” button on the upper left. There will be a pop-up window prompting you to copy and paste or drag and drop the song link of 6ix9ine’s “Fefe” from Spotify to NoteBurner. Click “Convert” button. When the conversion is done, 6ix9ine’s “Fefe” will have already been converted & downloaded in MP3 format and saved in the output path you set in previous step. By clicking “History” button (like a clock) on the upper right or directly going to the output folder you customized in Step 3, you can find the converted “Fefe” song downloaded in MP3 format.